For December 2014 we put on a production of the pantomime Sleeping Beauty written by local scribes Chris Shinn and Julie Petrucci who we were fortunate enough to be joined by on our opening night, performed for the Mayor of Huntingdons Charities. It was directed by Nicole Matthews, who was assisted by Kieron Wallis – especially when she went away for her honeymoon! – with choreography and extra assistance from Christopher RJ Parker and Ray Livermore. 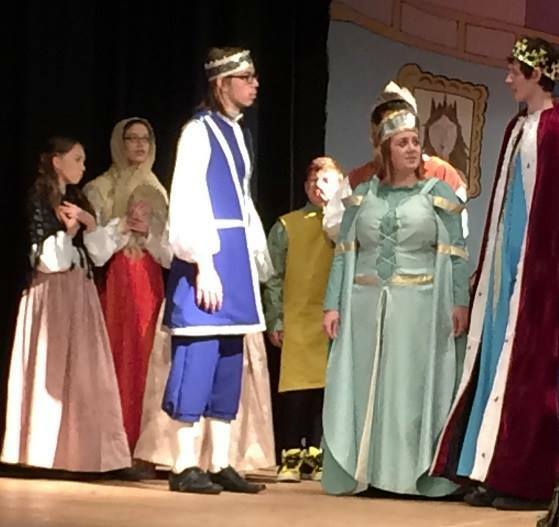 Their first major production working together but one that was a success performed in front of good crowds, including having to set up extra seats to make sure we could fit everyone in! It also represented the first time we have used a live band in recent years. Led by musical director Roy Bellas, a man who has composed and performed the music for our friends at Shakespeare at the George they bought a new angle to the show and tested our talented youngsters and helped them to learn some new skills. 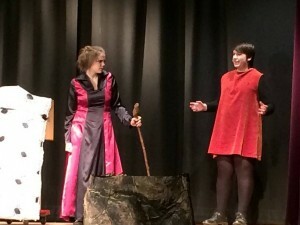 Once again the costumes were designed and handmade by our wardrobe mistress Margaret Gledhill, assisted by a selection of parents and Jessica Wilson, who played the villainous Zelda Blackadder and designed her own costume! Thank you to everyone who helped backstage, front of house and with everything else that is involved in putting together a production of this size! 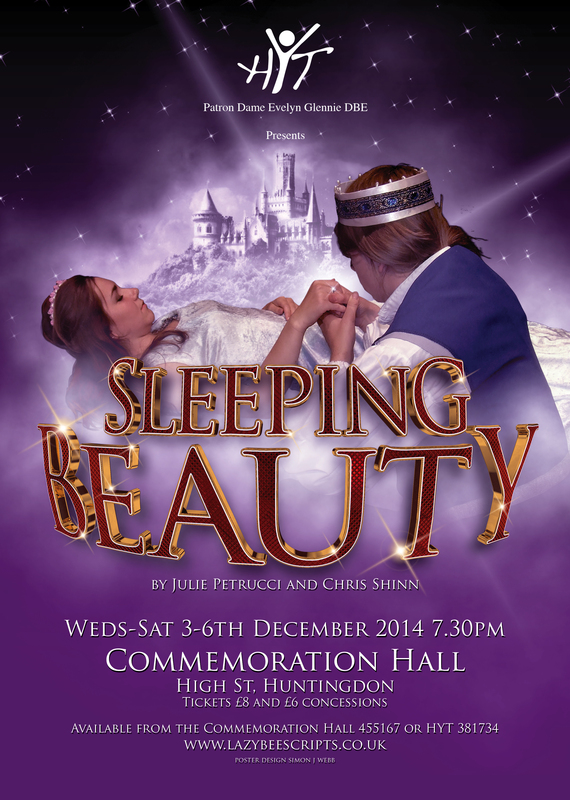 First of all I would like to welcome everyone to HYT’s first production of Sleeping Beauty. We hope you enjoy the show. The pantomime of Sleeping Beauty will take us into a magical world where dreams really do come true from the eyes of the storyteller. The story focuses on our beautiful Sleeping Beauty, the handsome prince, our villain – the wicked Zelda Blackadder – and of course our wacky dame who gets herself in some sticky situations. Being the first play I have directed, I have been very pleased to have the support of my co-director Keiron Wallis and my producer, Ray Livermore. We have all enjoyed working on the play and experiencing the thrill that putting on a Christmas production gives you. The children have worked extremely hard this year and have given 100% in everything that has been asked of them and we could not be more proud of them. In addition, I would like to pass on my thanks to Margaret for her ability to conjure up the costumes for the productions, in spite of the various cast changes, without batting an eyelid. She has had help, but I know the majority of the honours are Margaret’s. So please, sit back and we hope you enjoy the show! FOR MORE PHOTOS OF THE PRODUCTION SEE OUR FACEBOOK PAGE! Just wake up the princess already! Zelda tries to explain her plan to the hapless Spaldrick, again.